Rose quartz is a popular member of the quartz crystal family and is named for its color, which ranges from very pale pink to a deep rose. This variety of quartz is opaque or translucent in its natural state. Transparent gemstones found in jewelry and sold as rose quartz are more than likely gems that have been treated to enhance their color and clarity, and are probably not rose quartz at all. They may be synthetic gemstones created in a lab. The affordability of rose quartz, as well as the softness of its color, makes it a popular gemstone for costume jewelry. It is used as part of meditative practices and crystal healing and has some intriguing properties. Keep scrolling to learn more. Like other members of the quartz family, rose quartz has a hardness of 7 on the Mohs Scale. In the United States, rose quartz (including the star variety) is found in the Black Hills of South Dakota and is the official state mineral. Other important sources of the gemstone are India, Germany, Switzerland, Brazil and Madagascar (where mines also yield examples of star rose quartz). Pink quartz is a rare, translucent or transparent variety of quartz that exists in many of the same pink tones as its rose cousin. The pink version forms crystals while rose quartz does not. Pink quartz is rare, so don't expect to see if in jewelry stores. There's been disagreement over its name for some time, and specimens you might see in a museum or rock shop might be labeled rose quartz or crystalline rose quartz. Pink quartz will fade after being exposed to light, while rose quartz generally retains its original color. Rose quartz is usually polished into smooth shapes -- cabochons are popular, and so are hearts, You'll find beaded jewelry made from rose quartz, too some from irregular chips of the gemstone or from beads that have been polished to uniform sizes and shapes. Much rose quartz is set into sterling silver, but you'll find a wide range of metals used for settings, including vermeil and gold plate. Like sapphire and a few other gems, some rose quartz display star-like rays from the center outwards when polished -- stars are often shown off best by turning the quartz into smooth, round spheres that people usually display on a small stand. Popular egg-shaped versions of the gem are displayed in that way, too. Rose quartz is plentiful, so jewelry, rough nuggets and polished shapes of the gem are usually very affordable. 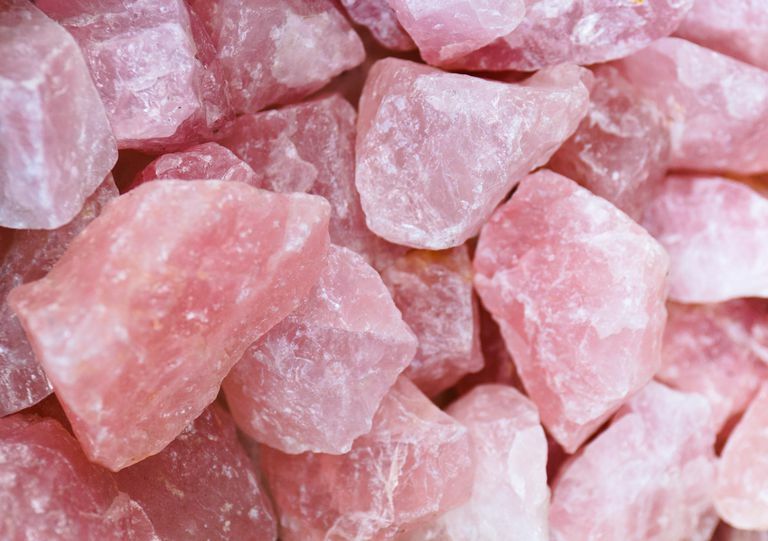 Can Rose Quartz Help You Find Love? Known as the "love stone", rose quartz has always been associated with love, harmony, and healing emotional matters of the heart. The energy emitted from the stone is linked to the heart chakra and is thought to enhance feelings of unconditional love and compassion. 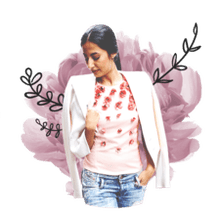 Alternative healers who specialize in crystal therapy often call on rose quartz when they feel the gem will benefit their clients. Along with other methods of therapy, rose quartz is used as a holistic healing tool to help mend wounds suffered from personal relationships. People looking to encompass the positive energy associated with rose quartz might wear the stone close to their heart on a necklace. There are many others, including varieties of chalcedony, a mix of quartz and Moganite. This mixture gives us: jasper, onyx, bloodstone, and many more minerals that are popular in jewelry. Chalcedony is rated from about 6-1/2 - 7 on the Mohs Scale -- some variations are somewhat softer than pure quartz.